Hervé Guibert (1955-1991) was the first key figure in France to openly live his life with AIDS, to even stage the disease, to turn it into a literary work in progress. No writer had done it before. With a dismaying accuracy, he took films and photographs of himself and he relentlessly described his metamorphosis up to his final breath. Yet his short life cannot be reduced to his disease. Far from it. A close friend of Foucault, Chéreau, Adjani and many others, he was a main figure of the intellectual life of the Eighties. Before he died, he had written about thirty books, made one film and taken hundreds of photographs that are regularly exhibited. If the topics of his books were judged controversial, as time went by, his exceptional literary talent is now unanimously recognised. A huge photographic retrospective has taken place in New York and his diary Le Mausolée des Amants has just been translated in the US. In France, his shadow is still hovering over literature, he is remaining with us, a reassuring and familiar ghost we can't help referring to. This book shows the life progress of a far from ordinary individual. Frédéric Andrau is a writer. Quelques jours avec Christine A (Plon 2008) revealed him to the readers. In 2013 he devoted a biographic text to the writer Albert Cossery, Monsieur Albert (Editions de Corlevour, 2013) which received a unanimous applause from the critics.  Ar tistic figure of the AIDS years, as Guibert became the character of his own books. Frédéric Andrau est écrivain. Il se fit connaître grâce à Quelques jours avec Christine A (Plon, 2008). En 2013, il consacra un récit biographique à l'écrivain Albert Cossery, Monsieur Albert (Editions de Corlevour, 2013), qui fut unanimement salué par la critique. 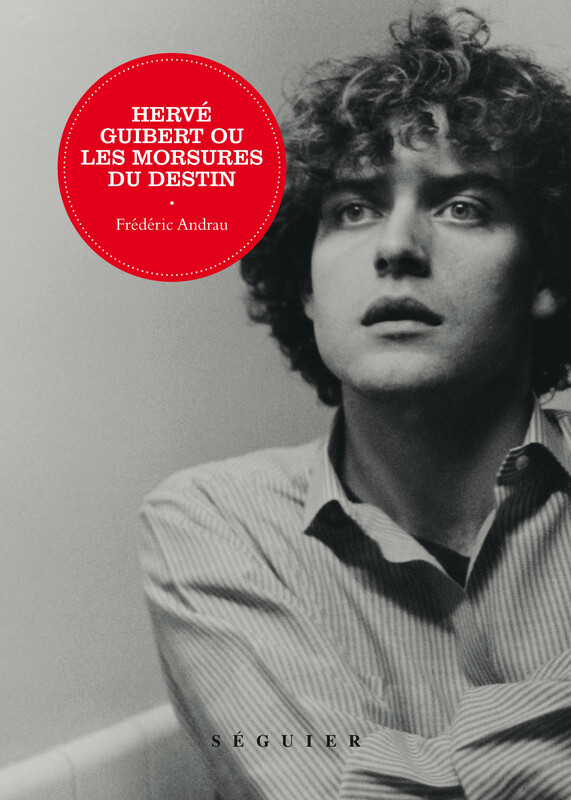 En 2015, il relate la vie d'Hervé Guibert dans Les Morsures du destin et publie en 2017 son cinquième livre, Régine Deforges, la femme liberté.